February | 2016 | Sonic Smash-Music! The composer of digital music known as Eliel Arrey has released his latest single, “End of Days.” The track is the first glimpse of his upcoming album expected to appear worldwide on 1 April 2016. Both are being proudly published as independent releases without the support or direction of the corporate music industry. Evocative, spellbinding, and towering high above the listener, “End of Days” is a sonic story on an epic scale which every music fan should hear. Eliel Arrey is the leader of EA Music Group, who have worked together to make “End of Days” a reality. EA Music Group are: Kevin Monahan (sound director and senior engineer), Trevor Price (mastering and engineering), Nasomi Belle, Yolanda Arrey, Melissa Otero, and A-Fluent (vocalists), Lovelyne Daley (chief songwriter and editor), Andreea Kay Michaud, Ashley Snap’em (digital artwork) and Ashley Snap’em, Angelica Garcia (photography). West-African Eliel Arrey cites as main artistic influences modern composers such as Hans Zimmer, James Horner, Thomas Bergersen, and John Powell, as well as LA-based music production companies Audiomachine and Two Steps from Hell (also Bergerson). His own music in “End of Days” is likewise visual in nature, as the best classical music tends to be, and lends itself very well to narrative. In addition to music, Arrey is studying for his PhD and graduates in 2017. He is the founder and president of Get More Out of College, a non-profit entity providing free resources to college students of biological sciences worldwide. He has written several popular pieces for Ezine Articles, Article Base, and a manuscript in the Journal of Neurosurgery. Eliel Arrey’s current music project, of which “End of Days” is a part, is the forthcoming 20-track LP album, “The Essentials.” The project features vocalists such as Steve Owner, Nasomi, Yolanda Arrey, and many more. Several singles from the album are expected to drop leading to the release date of his “The Essentials” LP. 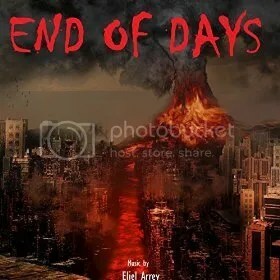 “End of Days” by Eliel Arrey is available online at over 700 digital music stores worldwide now. The R&B music artist known as Robert Maddrey has released his new single, “Change.” The single is Maddrey’s official worldwide debut. It has been proudly published on the ThickerThanWater Productions independent label without the direction or support of the corporate music industry. Heartfelt, smooth, and written with the betterment of all humanity in mind, “Change” is a song for all of us which fans of all music genres are sure to enjoy. Robert Maddrey cites as main artistic influences the Jackson 5, the Isley Brothers, Ray Parker Jr., Prince, Michael Jackson, Motown’s Funk Brothers Band, and Stevie Wonder, “just to name a few.” A man with great passion for good music, his own style on “Change” is accessible to fans of anyone from Jack Johnson to Issac Hayes. Still, it is the overall message of “Change” which is the song’s heart and soul. As well as his newly released debut, Maddrey also has a song available for listening at Jango Radio [link provided below]. Like many of today’s greatest musicians, Robert Maddrey first cut his teeth playing music in church. Eventually he joined the choir, and one day had the rare opportunity to meet the legendary Jackson 5. This chance meeting inspired him to become a musical autodidact. Robert Maddrey has performed in such groups as Black and Tan Ensemble, Black Atmosphere, the Essence Band and the Eclipse Band (which groups won several talent showcases at Fort Polk, LA). A fifth group, the Coup, also benefited from Maddrey’s skills. With an all-original set list, they persevered at several showcases and achieved radio airplay. Maddrey’s founding of ThickerThanWater Productions is the culmination of a music career more than 30 years in the making. 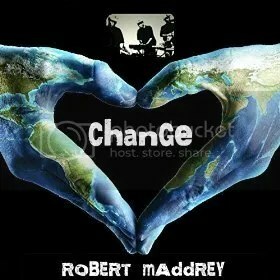 “Change” by Robert Maddrey from ThickerThanWater Productions is available online at over 700 digital outlets now. 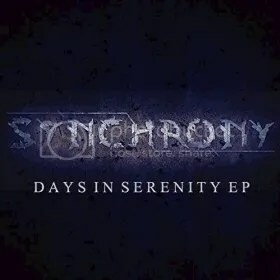 The metal band from Sweden known as Synchrony have released their debut EP record, “Days in Serenity.” The record comes with five original tracks for an approximate total listening time of 20 minutes, making for a comprehensive introduction to metal fans not yet familiar with Synchrony’s signature sound. It has been proudly published on the XJT Music and Cuprite Productions independent record labels. Hammering, roaring, melodic and charged with 21st-century aggression, “Days in Serenity” stands as proof that Synchrony is a nu-metal crew for the new millennium. Themselves hailing from the Stockholm area, Synchrony cite as artistic influences UK groups such as Architects and Monuments, American bands such as Linkin Park, Periphery and Veil of Maya, and of course Swedish mainstays such as Deceptic, Soilwork and Dead by April. The style of Synchrony is somewhat more technical than many modern metal groups without becoming overwrought or pretentious, à la mathcore. Fans of progressive rock are likely to be enthusiastic. Each of the members exhibit expert playing: machine-gun percussion, chugging guitars, snappy bass lines, creative synth accompaniments … Yet these instrumentalists never play in such a way as to obstruct their prominent vocals. Synchrony’s vocals are sung as much as they are screamed, growled or shouted, making “Days in Serenity” more accessible to music fans outside the metal genre than is often the case – a balance which has made some metal bands (like Linkin Park) worldwide sensations, and one which is rapidly endearing Synchrony to listeners both at home and abroad. Synchrony are Ralph Vahtera (vocals), Robin Stenström (guitar, bass), Niclas Werner (drums), and Elliot Schreiner (screams). “Days in Serenity” by Synchrony is available online at over 700 digital music stores worldwide. Get in early, metal fans. The singer and songwriter from South Africa known as Merique has released her latest rock record, “The Coming Dawn.” The LP contains eight original tracks for an approximate total listening time of 35 minutes. 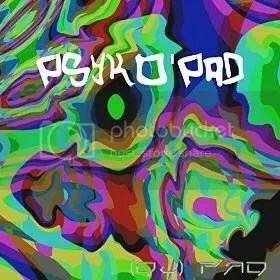 It has been proudly published on the Lunacy Records independent music label. Introspective, passionate, heartfelt and expertly written and performed, “The Coming Dawn” is the latest example that the African indie music scene is ablaze in 2016. This amalgam gives music fans a good idea of Merique’s own vocal style. She has a broad range largely in the upper register, and stays loyal to most traditional singing principles. Her studio work is unblemished by auto-tune, over-gating, and other technologies which might otherwise wash out her natural tone. Though she’s clearly a practiced chanteuse, Merique’s singing retains a certain raw quality that feels genuine rather than mechanically precise. Fans of romantic themes in rock and contemporary adult music will be enthusiastic about Merique’s lyrical clout, too. Vocalist Merique Hanekom is joined on “The Coming Dawn” by Terry Scarberry on guitars, Dave Copenhaver on bass guitar, Steve Short on drums, and Ryan Jones on keyboards. The record also features strings arranged by David Powell. Merique has been singing since the age of 14. She graduated from Somerset West music school in 2011 at the top of her class and held two choreographed, sold-out shows at the World Championships of Performing Arts in Hollywood, California, where she represented her home nation of South Africa. She went on to be the 18-24 Division and Industry Award winner. In 2013 she completed her VIDLA Certificate in Contemporary Vocal Teaching with Upper Merit while choreographing and playing a lead character in the acclaimed Afrikaans musical “Skalie Skinnerstories tref Stoffontein” [http://www.vidla.uk/]. Her current solo project began in 2015 and saw her recording at Studio Seven in Oklahoma City for Lunacy Records. She took advantage of her time in the USA to shoot an official music video for her popular single, “Last Love Song,” which appears on her new LP as Track 3 and will be available for viewing from Lunacy Records soon. Merique’s “The Coming Dawn” LP is preceded by three singles not on the new album, “Legacy,” “Butterfl-eyes,” and “Rivers,” the last of which was published to bring awareness to the condition of rivers in South Africa. “Rivers” was later associated with a video filmed on-location in South Africa by highly acclaimed film makers Flying Fish Productions, whose work can be seen on National Geographic, the Discovery Channel and BBC. Merique has performed in South Africa at Bloemfontein, Bethlehem, Welkom, Smithfield (Free State), Rustenburg (North West Province), De Aar and Richmond (Northern Cape), Graaf Reinet and Cradock (Eastern Cape), various cities in Gauteng, Lambertsbaai, Somerset West, Paarl, Langebaan, Malmesbury, Moorreesburg Wellington, Stellenbosch, Oudtshoorn (Western Cape), and in the USA at Los Angeles. “The Coming Dawn” by Merique is available online at over 700 digital outlets worldwide.